Interview with K-popped!, most popular Kpop blog in Malaysia. K-popped! was my first English K-Pop website. I ran into this great K-blog a few years ago and came to know that there were many non-Koreans enjoying, talking and writing about the Korean entertainment. Yes, K-popped.com opened the door of the English-language K-Pop world for me. Sarangkpop had an interview with the blog at last. 1. Greeting to Korean K-pop fans. 안녕하세요! 잘 지내세요(Hi, how are you doing)? 2. Please introduce yourselves briefly. 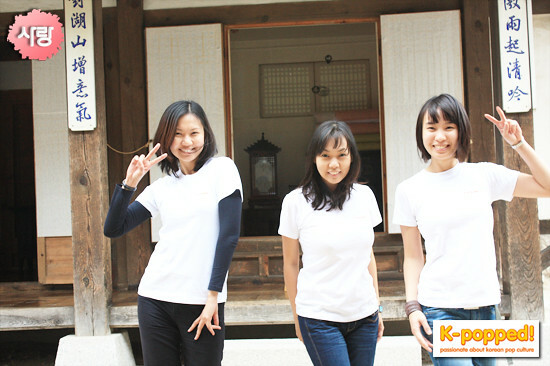 We are K-popped!, a bunch of bloggers who love writing about all things Korean. 3. When and why did you start blogging about K-pop? After attending Rain’s I’m Coming concert in Kuala Lumpur, Orchid and I (Liz) started blogging about Korean stars at our respective personal blogs (don’t bother looking for them, they are not available anymore) and eventually decided to dedicate a blog to our rapidly-growing new-found passion. And so, K-popped! (k-popped.com) was born in June 2007. 4. What has been the biggest difficulty in blogging so far? 5. Are you full-time bloggers? 6. Do you write K-pop related articles for Malaysian magazines or newspapers? If so, please share some of them with us. Yes, I am a contributor for Galaxie Magazine Malaysia. My articles for Galaxie are K-entertainment articles. 7. Do you have K-pop blog friends? If so, tell us about them briefly. You can check out local fan group sites. Such as myhottest2pm.com, Chocofam, My-SJ and CN Blue sites. They are awesome! 8. Do you think there are differences between Asian Kpop bloggers and non-Asian bloggers in the ways of accepting & understading the Kpop phenomenon, ? If so, what would be the greatest difference? I don’t think there’s a difference. 9. Would you share with us your experiences with a Korean entertainment company(including the Korean media)? Nope, we have not worked with any Korean entertainment companies. 10. Personally, K-popped was my first English K-blog. I think you were one of the oldest English-language K-Pop blogs and I couldn’t see many K-Pop related blogs at that time. However, there are many now. Do you notice any changes regarding K-Pop related blogging of other bloggers, compared to the time as you started K-popped.com? If so, what is the biggest change? Yes, K-popped! started in 2007 when there were only a handful of English K-related blogs. Nowadays K-blogs have mushroomed and there are many established sites that report on K-pop in English. It’s not an intimate community of K-pop bloggers anymore, as it now feels very “commercial”. It’s a good thing nonetheless as something this good should be shared :). 11. I understand you have visited Korea. Tell us about your travel to the country of K-Pop. It was in 2009. Since we were so into all things Korean, we enjoyed being immersed in the land of the Hallyu. Hearing Korean being spoken around us made us excited and it was crazy fun navigating our way around the heart of Seoul with only our maps and very limited Korean. I think we even got fleeced by an ahjumma selling snacks by the road (laughs). We found Koreans to be very appreciative of foreigners who try to speak their language. 12. Do you have anything to advise the Korean tourism industry? For example, the road signs are quite confusing to foreign tourists… If so, let us know. For tourists on foot, the signs were OK…besides, we are quite used to confusing road signs, after all, we live in Malaysia :P.
13. Are Korean dramas popular in the country? 14. A few years ago I heard that most Korean dramas were imported via Taiwan or Singapore to Malaysia so that people watched them dubbed in Chinese with Korean subtitles. was it true? If so, what about now? That’s true. Previously, the K-dramas we got were dubbed in Mandarin, but these days there are many channels that show the drama in its original Korean language. On top of that, satellite TV subscribers have KBS World to tune into. 15. How about K-fashion? Are there many K-fashion followers in Malaysia? Probably, I’m not too sure about that. 16. What aspects of K-Pop do you think captured the hearts of people in your country? The catchy songs and professional and polished performances, of course. It also doesn’t hurt that many Korean artists make great eye candy. 17. How does the Malaysian media see the Korean Wave? They have taken notice of it. In fact, The Star newspaper, Malaysia’s leading English daily ran a front page feature on the rise of the Hallyu in Malaysia. K-popped! was interviewed for one of the articles (http://k-popped.com/2010/08/k-popped-in-news/). 18. Is there any backlash over the Korean Wave? If so, tell us about it. 19. What do Malaysian K-Pop fans most want from the Korean entertainment? More concerts? Yes, more concerts, especially by popular acts such as 2PM, Big Bang and SNSD. 20. What is the largest K-Pop event in your country? 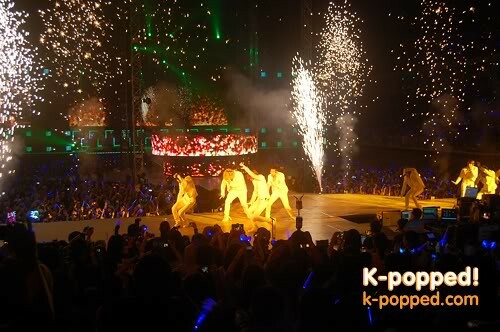 So far, it was Super Junior’s Super Show 3 concert in Malaysia on March 19. Check out the story of Super Junior Super Show 3 here. 21. Compared to other countries’ k-event, what would be special or unique in the Malaysian K-events. Male performers are not allowed to take their shirts off while on stage in Malaysia. So yeah, Rain had to keep his shirt on during his I’m Coming concert. Bummer :P.
22 Did you get any help from Korean companies or governmental bodies like the Korean Embassy? Korea Tourism Organization has been supportive of us. 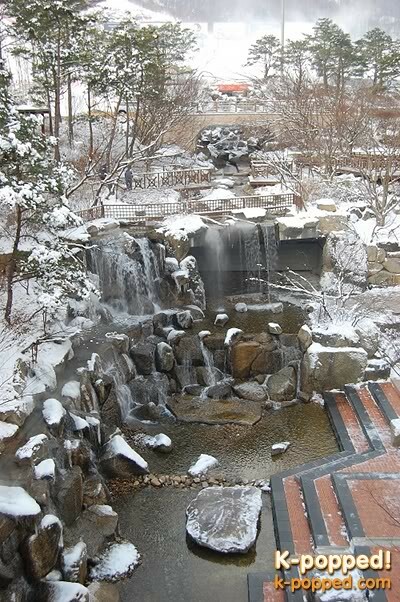 They sent Orchid to Seoul, Korea in 2010 and she wrote a winter holiday piece (http://k-popped.com/2010/12/winter-2010-holiday-in-korea/). 23. As a K-Pop fan, what do you think the K-pop industry should do urgently in order to provide better Kpop services to the international fans? Make information more accessible to international fans by publishing it in English. 24. We Koreans are grateful for K-Pop love of K-Pop sites. However, sometimes, we Koreans find a big gap between regular Koreans and international fans in accepting and understanding K-Pop news, especially about gossip. In many cases, we just laugh off the gossip because we all know that it is nonsense and nothing to fuss about. However, we really got shocked when running into the gossip written in English. Too much exaggeration and sometimes we even suspect that someone writes it out of malice. To make things worse, many international K-Pop fans come to think it is real because they cannot read the original Korean sources. I think many Korean netizens distrust some of the English K-Pop websites & blogs. Why do you think this is happening? Do you think Koreans are trying to protect themselves? Do you ever think it was because of the unreasonable competition among English language K-Pop websites & blogs in order to gain more web traffic? What do you think should be done to bridge the gap in the first place? It all boils down to the language barrier, and yeah, there tends to be exaggeration or inaccurate information when an original source is misinterpreted. As a foreigner who has limited Korean vocabulary, it is definitely trying to translate a Korean article. All we can do is rely on Google translate, the translation of other sites or our kind Korean friends who willingly help us. Thus, there is definitely a need for official / reliable sources to publish information in English :). 26. Is there anything you wish to tell Korean netizens or say to them? Thank you for reading. We love your culture, language, entertainment, food etc..We are curious and would like to learn more. As we learn, we are bound to make mistakes so please don’t get mad at us and we’d appreciate all that you can teach us. 감사합니다! We sarangkpop thank K-popped and hope this interview is of help to communictions between K-Pop fans of both two countries.